No fewer than 18 Nigerians die of tuberculosis, TB, every hour totalling 432 deaths daily, according to the World Health Organisation (WHO) which ranks Nigeria as having the second highest incidence rate in Africa and seventh among the 30 high TB burden countries in the world. In effect, no less than three Nigerians die every second from Tuberculosis, a disease that is preventable and curable, stated the global health body. 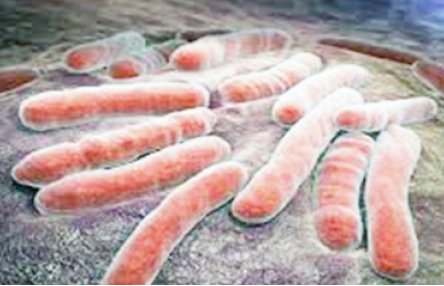 Every hour, 47 Nigerians develop active TB, seven of who are children, even as Nigeria is ranked among the 14 high burden countries for TB, TB/HIV and Multidrug Resistant TB (MDR-TB), the WHO further said. Citing the 2017 Global TB Report, Ozor, who spoke on behalf of Dr Wondimagegnehu Alemu, the WHO Country Rep, at the first National Summit on Public Private Mix (PPM) for TB Control, said it was essential to engage the private corporate organisations and private health institutions to commit to take TB control as one of their corporate social responsibilities. She said, “More worrisome is the fact that every hour, 18 Nigerians die of TB, a disease that is preventable and curable. This is not simply statistics, behind these figures they are humans. Noting that only 14 per cent of private institutions are collaborating with the National TB Control programme, while only one in five (19 per cent) TB cases are being managed at private health facilities, Ozor called for more involvement of the private sector in TB control programme. The WHO official noted Nigeria increased its TB detection rate from 17 per cent to 24 per cent (41 per cent increase) and declared 2017 year for accelerated TB case finding, but pointed out that outstanding challenges were being addressed collectively by stakeholders to get a breakthrough in the fight to end TB. Among other challenges she stressed on were expanding quality TB diagnostic coverage nationwide, both optimisation of the existing gene Xpert diagnostic machine (390 and increasing awareness of the general public. Dr. Jide Idris, the Lagos State Commissioner for Health, confirmed that Lagos State has the highest estimated burden of TB cases in the country. Dr Idris said the development is by virtue of the State’s large poplulation, population density and metropolitan nature of Lagos. The Lagos state Ministry of Health boss further said that at the moment there are 926 TB treatment centres covering all 57 LGA/LCDAs, 108 TB microscopy and 30 GeneXpert sites with at least one machine in each of the 20 LGAs. The two-day national summit on Public-Private Partnership for Tuberculosis (TB) Control in Nigeria focused on how to effectively engage the private sector in efforts to end the menace of Tuberculosis. Earlier in their comments, Dr. Ayodele Awe, National Professional Officer (TB), World Health Organisation (WHO) and Mayowa Joel, Executive Secretary, Stop TB Partnership Nigeria said the goal was to provide public and private partnership in TB control. The summit was organised by WHO with the collaboration of the Federal Ministry of Health, Lagos State Ministry of Health, Stop TB Partnership Nigeria and other stakeholders. It provided a platform for governments, private sector, corporate organisations and private health provider umbrella bodies to discuss as well as agree on strategies for engagement in TB control in Lagos state. The stakeholders also discussed way forward as well as developed a road map for private sector engagement in tuberculosis control with a view to finding the missing TB cases.